I was disturbed to learn of the recent mass killing by the US government of yet another group of brown-skinned persons of unknown identity, this time in Yemen. Only two weeks ago, reports surfaced of a mission in Somalia which culminated in the deaths of an estimated 150+ terrorist suspects. The victims in Yemen, as is customary, were identified post-mortem as persons all of whom posed an “imminent threat” to US forces and allies. The estimated number of deaths in Yemen from the attack on Tuesday, March 22, 2016, is more than 50, with nearly as many people harmed. None of the dead were civilians, according to US officials. “None of the dead were civilians” is a claim frequently made by drone program administrators, including John Brennan, who while serving as Obama’s top counterterrorism advisor announced in 2011 in apparent sincerity that there had been no collateral deaths from the CIA’s targeted killing program during the previous year. Later it emerged that the administration had simply redefined the concept of ‘civilian’ so as to exclude male persons from about 16 to 50 or 55 years of age. That’s right: in one of the worst examples of racial profiling in human history, able-bodied males in tribal regions are assumed to be terrorists until proven otherwise. Should we believe US officials now, when they report that 200+ dangerous terrorists have been stopped in their tracks? I have an idea: why don’t we ask Giovanni Lo Porto or Warren Weinstein? Or perhaps we should ask the survivors of the March 17, 2011, massive air attack on Datta Khel, Pakistan, which wiped out the community’s tribal elders as they were meeting peacefully for a jirga to settle a dispute over a chromite mine. The CIA’s ambitious agenda to rid the universe of suspects who might possibly be thinking about possibly planning to attempt to carry out possible future acts of potential terror against the people of the United States has obviously failed. But rather than draw the rational conclusion from the recent terrorist attacks on Brussels, Paris, and San Bernardino, the drone killers point to the episodes as evidence that they need to kill even more. The CIA continues to clamor for more drone strikes in collaboration with JSOC in Iraq and Syria. That should go well, given the resplendent success of the Agency’s effort to arm and train “appropriately vetted moderate rebels” in Syria. For those who missed the outcome of the ill-conceived initiative: a handful—as in four or five—fighters emerged as US allies after an infusion of $500 million of military aid into the Syrian conflict. What are we to conclude now, when the same administration insists that the mass killing of 200+ brown-skinned men in the prime of their lives was an act of national self-defense? I for one find it highly doubtful that any of those people would ever have made it to US shores. How many of them even had passports? Certainly none of them had the wealth and power and connections of Osama bin Laden. Yet the guiding sophism that every brown-skinned adult male located in a remote tribal region is an existential threat to the US republic continues to be bandied about by politicians and career administrators. Even people who are not troubled by the racial profiling (don’t Brown Lives Matter? 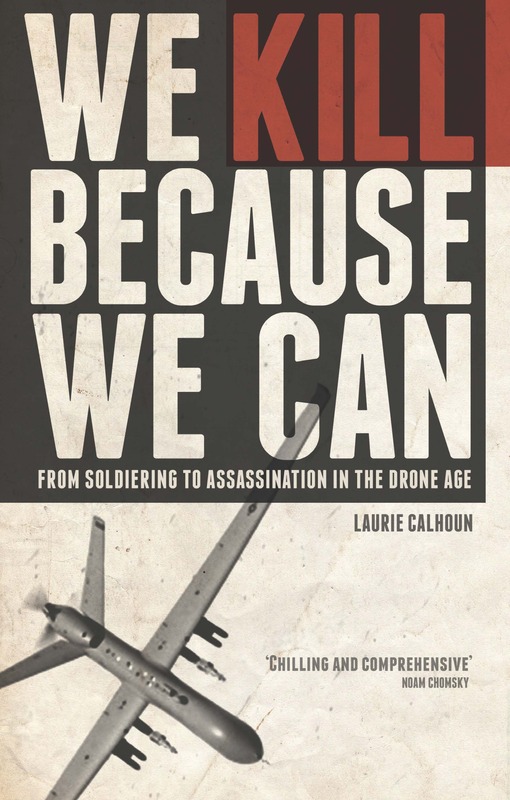 ), and the slow lethal creep to genocide inherent to the US drone program, need soberly to assess the value of the “killing machine” for the security of the people of the Western world. All of this homicide is not making us safer. Instead, the summary execution without trial of massive numbers of alleged suspects of Arab origin is incensing people who do reside in Western lands and vow to seek revenge. Some of them have already carried out acts of violent retaliation in Paris, San Bernardino, and Brussels. It’s such an obvious point—well-illustrated by the virulent insurgency in Iraq during the US occupation—but one which bears repetition: the people being killed are angry about US military intervention. Annihilating brown-skinned suspects in several different Muslim lands has not worked. Instead, it has given rise to a much more ferocious Al Qaeda, AQAP, Al Shabaab, ISIS and Daesh. The time has arrived to leap out of the lethality box and stop arming militants only to turn around and kill them. Are we to conclude from the two recent mass homicides perpetrated by the US government in Yemen and Somalia, using both unmanned and manned combat vehicles, that “radical Islamic extremists” cannot be kept in check by lethal drones alone? Maybe that’s because the drone program was a Ponzi scheme all along.